The author is a local artist who kept a diary about the years she spent caring for her elderly mother who developed dementia. 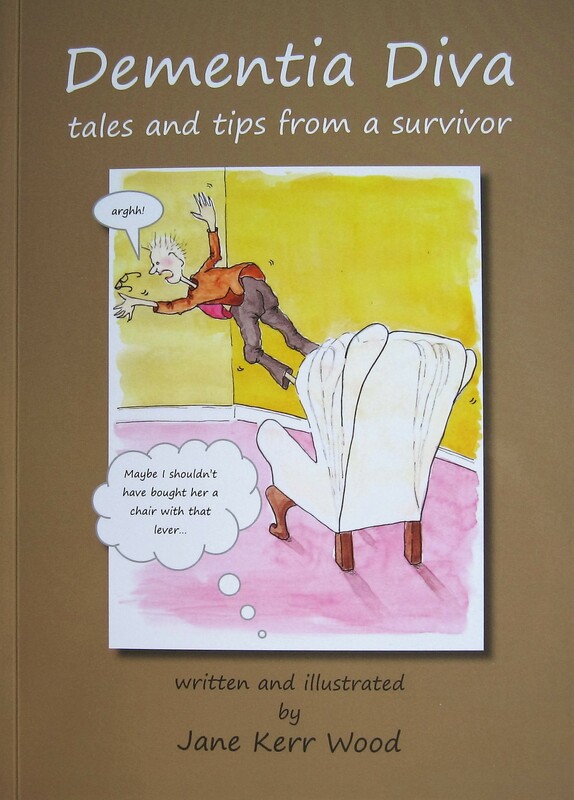 She describes it as “a comic book for adults” as it is packed with 20 pages of cartoons in full colour, so is an easy read punctuated with diary entries and bits of advice on how to cope if you are in a similar situation. Since publication last September Jane has had a lot of positive feedback that the book also relates well to other conditions, for example Parkinson’s disease, so now Jane reckons she should have given it a different title such as “The Reluctant Carer”…but she admits to being a bit of a Diva so maybe she got it right first time!